What is a prime date? Solved: 1231 + n * 10000 is a prime date and an arithmetic progression. Due to the threorem of Dirichlet it will contain an infinite amount of primes. If a prime date is a sunday it is prime sunday. It is common practice to make a present to all mathematicians in your circle of friend. The next prime sunday is on August the 21. 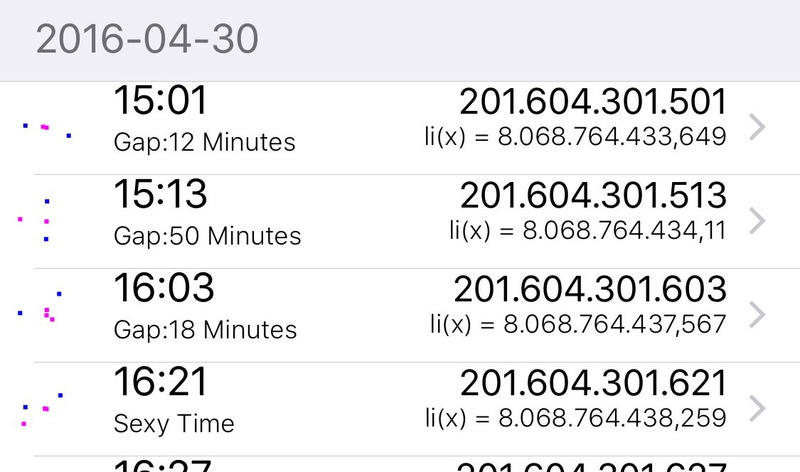 In the settings you can choose your individual starting date for calculation the prime dates. Also you can set an individual number for calculating. If the combination of year, month, day, hour and minute is a prime number, it is prime time. Plan your day basing on prime times. Every day has his unique prime times? Not enough prime times? Calculate the number of seconds, set the starttime manually in the settings or choose any number you want.